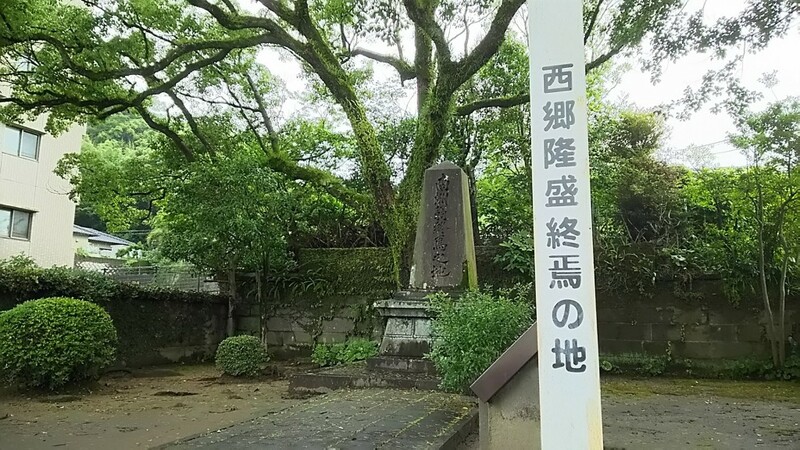 Death Site of Saigo Takamori (Historical Hero of Kagoshima, Japan) | Kagoshima Love! 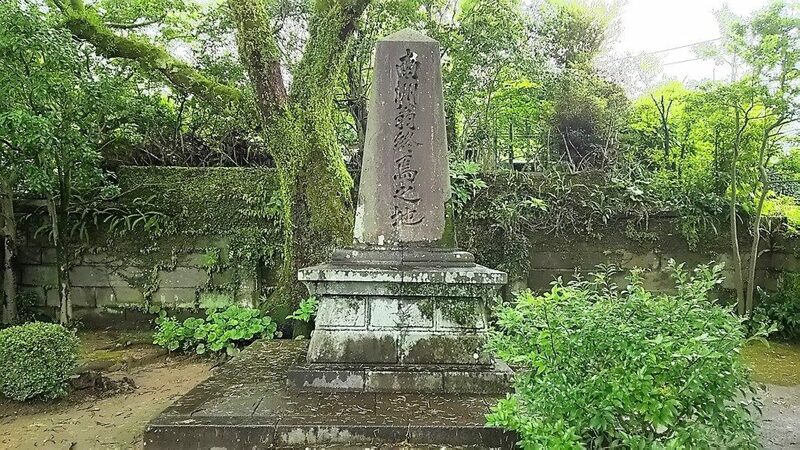 This article introduces the place where Saigo Takamori died at Seinan Civil War (1877). The battle place has now turned into the quiet residential area. At the morning ot 24th September in 1877, governmental military bombared the Shiroyama mountain with canons. Saigo Takamori and his followeres started to go down the mountain to make a final attack. 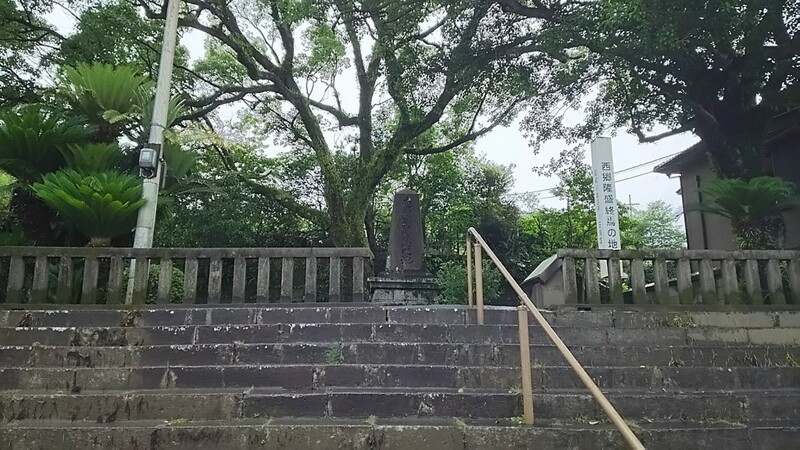 2 bullets hit the leg of Saigo Takamori 300 meters away from the cave of Saigo Takamori. He asked his follower, Beppu Shinsuke to kill himself. 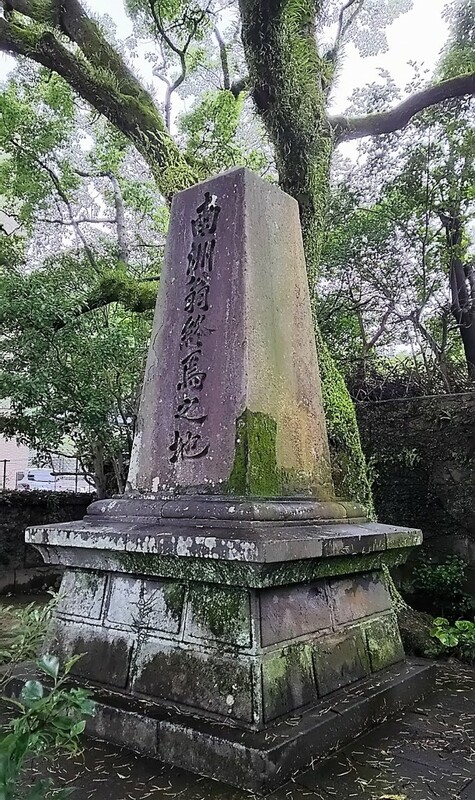 Beppu cut off the head of Saigo Takamori after Saigo bowed to the direction of the imperial palace. This was the final moment of Seinan Civil War which lasted for about 7 months. The death side is along the JR train rail. Saigo Takamori was the model of Katsumoto of “Last Samurai”. Famous actor Enoki Takaaki plays the role of Nakamura Hanjiro who was the loyal follower of Saigo Takamori. Bus…Get off Kagoshima City View Bus at “Satsuma Gishihi Mae” and walk 10 minutes. Car…Please be noted that there is no parking lot for the site.